The transformation of undergraduate science and math education will require broad-based faculty motivation to integrate innovative evidence-based pedagogies into classroom practice and advance scholarship in teaching and learning. Currently, the traditional lecture approach remains the dominant model in these disciplines. While research suggests that high-impact practices and active learning pedagogies may improve the success of students from historically underrepresented groups (HUGs), faculty must be motivated to invest their time and effort to do this work. Consequently, three strands of motivation theory (motivation, self-determination, and self-efficacy) may provide a framework for exploring faculty adoption and advancement of potentially transformative practices. Herein, motivation theory can support our investigation of the personal and institutional dynamics that promote and/or hinder faculty integration of high-impact and evidence-based pedagogical innovations into classroom practice. 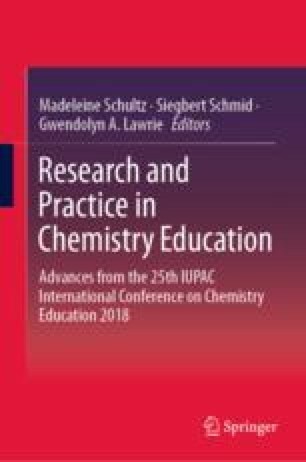 The study reported in this chapter uses quantitative methods to explore faculty engagement in scholarly teaching and other innovative educational practices that purport to increase success of HUGs in the STEM fields at a land-grant doctoral research university in the southeastern region of the USA. The university has a historical mission of educating HUGs and a designation of HBCU (Historically Black Colleges and Universities). One primary research question guides this effort: “To what extent do HBCU STEM faculty feel motivated to engage in high-impact, evidence-based pedagogies?” This work is important in the broader STEM education community for understanding how to foster faculty engagement in transforming the paradigm of instruction in the college classroom with a focus on student success. This work was supported by the US National Science Foundation (NSF) by Award number HRD-1719498. National Academy of Sciences, National Academy of Engineering, & Institute of Medicine. (2011). Expanding Underrepresented Minority Participation: America’s Science and Technology Talent at the Crossroads. Washington DC: National Academies Press. Available at: http://www.nap.edu/catalog/12984.html. National Science Foundation, N. C. f. S. a. E. S. (2013). Women, Minorities, and Persons with Disabilities in Science and Engineering: 2013. Special Report http://www.nsf.gov/statistics/wmpd/. Accessed 304 NSF 13. President’s Council of Advisors on Science and Technology. (2012). Engage to Excel: Producing One Million Additional College Graduates with Degrees in Science, Technology, Engineering, and Mathematics Executive Office of the President. Available at: http://www.whitehouse.gov/sites/default/files/microsites/ostp/pcast-executive-report-final_2–13-12.pdf. Self Determination Theory (SDT). http://selfdeterminationtheory.org/theory. Accessed 21 October, 2018.